For the past two decades, PeaceWorks has sent twice yearly shipments of donated goods to our partners in Nicaragua. We are fortunate to work with local NGO’s that translate our good intentions and assistance into life affirming services and projects. Join us in donating and/or packing goods. Just write shipment coordinators Austin Haeberle cinemaus@gmail.com or Rich Dufort rich125g@gmail.com. We always need help packing the shipments the 2nd Saturdays in May and October. But stay tuned — we announce pre-packing days as well. 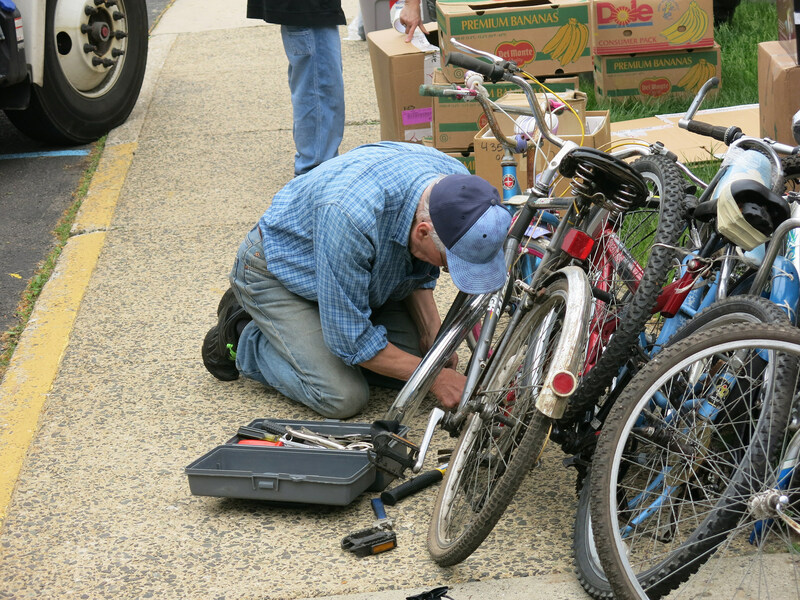 Getting bikes ready for the shipment in Plainfield, NJ. School Supplies After years of government neglect leaving 1.2 million people unable to read and write, the new Nicaraguan leadership has renewed efforts to fight illiteracy and make education accessible for all. Help by sending school supplies — notebooks, pens and pencils, crayons, paper, rulers, colored pencils, scissors, water color paints, and more. Involve schools, religious organizations, girl/boy scout troops, and civic groups. We are also collecting children’s books in English and Spanish. Tools Our partner, FEDICAMP, fights desertification in northern Nicaragua with sustainable farming and forestry projects. Collect rakes, shovels, pitch forks, and other garden tools to help them re-green Nicaragua and fight global warming. The Masaya Women’s Collective also uses these tools in their agricultural training programs and gives them to women seeking economic independence. Bring on the Bikes We will accept bicycles in good condition — please, no rusty relics. Bicycles help teachers ride to work, people to bring their goods to market, students to school — you would be surprised at the number of bicycles on the busy Nicaraguan streets. Computers All of our partner organizations need computers. Young girls escaping exploitation will learn computer skills with our partner Inhijambia. MASINFA needs computers for their technical school and offices, and gives others to community organizations in their region. Please donate Pentium III’s or newer. Send only complete computers systems in good working order — not just old monitors. Sports Equipment Nicaraguans love baseball! Soccer, basketball and volleyball, too. But young people often lack basic sporting equipment. Help us gather some of the old uniforms and other equipment thrown away by community sports leagues and school athletic departments. Search your basement for bats, balls, gloves, etc. and bring them on over! General Aid Supplies We also need fans, carpentry tools, household and kitchen items, summer clothing and toys (in good condition! ), office supplies & file cabinets, and medical supplies, including vitamins, aspirin, first aid items, wheelchairs, and crutches. 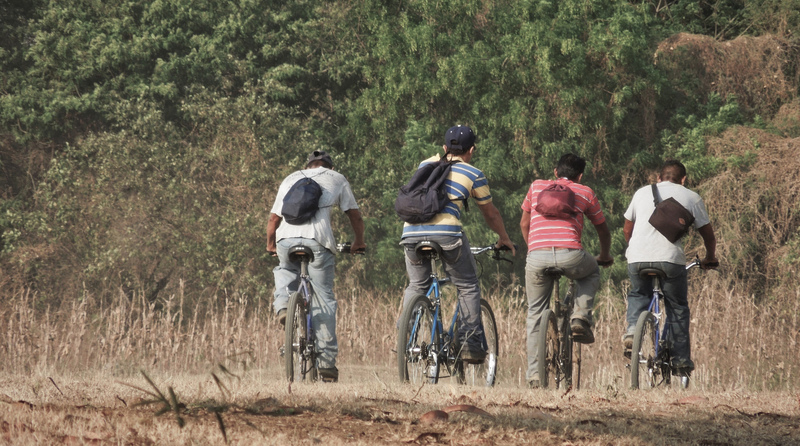 Youth biking to school in rural Nicaragua. Notes on Packing Aid Supplies Try not to mix items such as clothing with school supplies. Pack boxes tightly. If possible, write down a simple inventory of the contents of each box. Pack summer clothing in small plastic bags — we pack them between the hooks and crannies to better utilize space. Help On The Loading Day Packing and loading takes place at the United Presbyterian Church in Plainfield. We need many volunteers, from 10am until evening, to pack boxes, stuff bags full of clothing, and load the cargo container. If you know of a church or scout group, bring them along to help. We can offer volunteers a great lunch, plenty of coffee, and a space to rest. 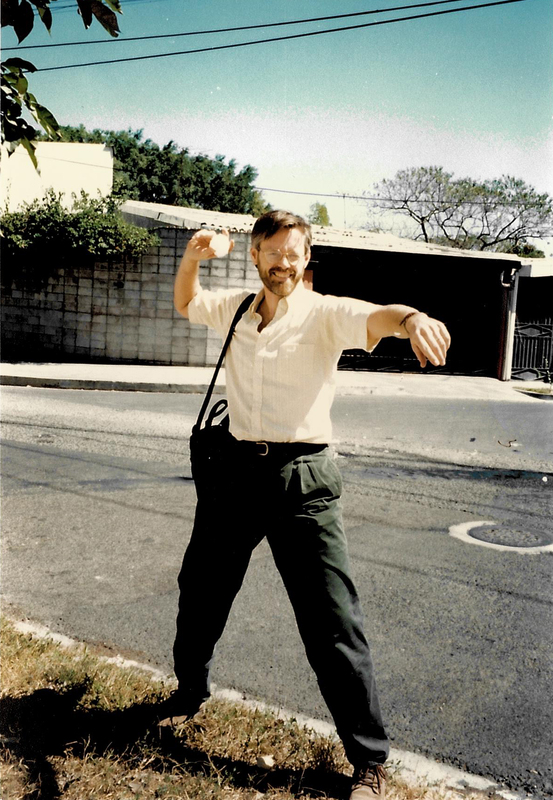 Got stuff to send to Nicaragua?